Our 5-star money back guarantee speaks for itself. You are guaranteed 5 Star service, period. And for a period of 5 years. If we repair your HVAC system, our labor is guaranteed for 5 years. We pride ourselves on the experiences of our customers. We have a long list of customers who are happy to share about their experiences with our residential air conditioning services. Not only are they willing to speak with you over the phone, but many are willing to let you come and see their home and our work. Check out our testimonials to see customer photos and reviews. 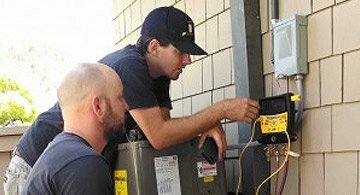 How to Find the Right HVAC Repair Service? Our recent job for The Paper Company in Irvine, CA solved all of their issues with an affordable mini-split air conditioner.